A few years ago, a video of Father Clete Kiley, a Catholic priest in the Archdiocese of Chicago, went viral. His passionate, stirring defense of labor unions and economic justice, together with his honesty and moral clarity on the inadequacies of the status quo struck a chord with believers and non-believers alike. And his vision was shaped by Catholic social teaching. It showed the power of faith in action. This summer, Fr. 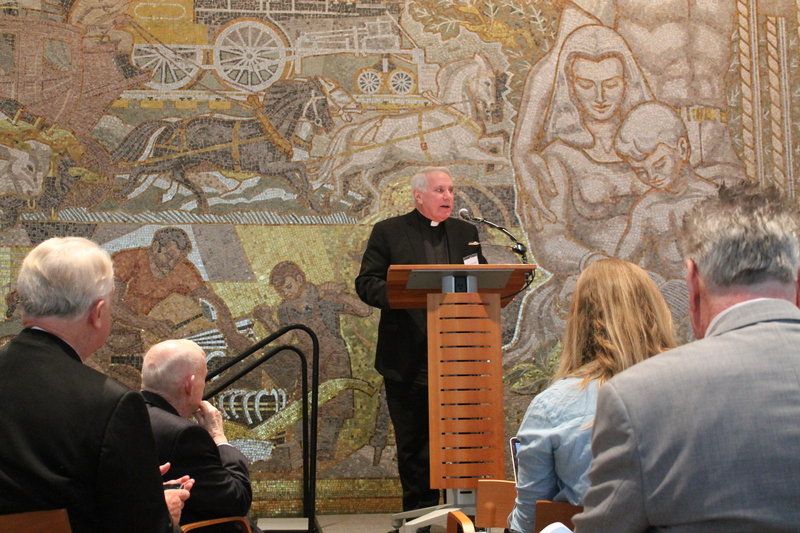 Kiley, who is the Director for Immigration Policy for UNITE HERE, spoke at the “Erroneous Autonomy: A Conversation on Solidarity & Faith” conference in DC, alongside Cardinal Donald Wuerl and other leaders from the Catholic and labor communities. Millennial editor Robert Christian had the opportunity to interview Fr. Kiley, to follow up on some of the key points he made at the conference and ask him about where millennials fit into the equation. 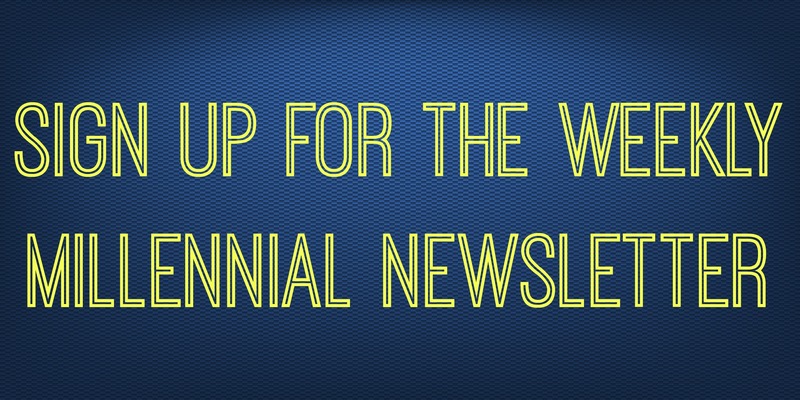 Robert Christian: Many millennials don’t seem to know much about the American Church’s commitment to workers. Would you give our readers an overview of some historical highlights and the importance of this connection? Fr. Clete Kiley: The Church in the United States has been closely allied with concern for workers and their rights for the past 140 years or so. The Knights of Labor was one of the first national unions in the country. Cardinal Gibbons made a strong defense of the Knights and also raised up the Church’s concern about working conditions, safety issues, child labor, lack of living wages, and more. There were many forces arrayed against workers‘ movements, including some voices within the Church. Those promoting unions were often denounced as socialists and communists. But Cardinal Gibbons made the case that working conditions were so bad for so many workers, unless the Church were engaged, they would become susceptible to those movements. Pope Leo XIII agreed with that assessment and wrote Rerum Novarum, the first of the Catholic “Social Encyclicals.” At the end of that encyclical, Pope Leo XIII urged bishops and priests to “Go to the Worker.” In 1931, Pope Pius XI wrote a 40th anniversary encyclical to re-visit Rerum Novarum. He warned about the dangers of national socialism and of communism, but also he raised a warning about libertarian unrestricted free-market capitalism, which he called “a poisoned spring.” During the 1930’s through the 1960’s some bishops and many priests and thousands of lay Catholics became part of the growing Labor movement. And Catholic Social teaching provided the basic vision underwriting the movement. That vision includes: the dignity of work itself; the dignity of every worker; the fundamental right to work and to emigrate in order to secure work; the right to a living wage which provides for a family, healthcare, savings for retirement; the right to Sabbath time (a day off – a weekend to restore the soul), an 8 hour work day; an elimination of all child labor; and the right to bargain collectively and to form a union. That vision also promotes the common good and the principle of solidarity. Pope Francis has framed this today as the ability of the poor, the marginalized, all workers to be active agents in the economic system and not objects of it. The Church said then and reaffirms today that the best way for workers to be active agents in the economic order is through their unions. You have said “right to work” laws are an assault on solidarity. What makes these laws so problematic? Right-to-work laws have a number of serious problems. Everywhere they have been implemented wages have dropped from 3.1% up to 6%. These laws fundamentally aim at breaking workers’ unions and their ability to bargain collectively. Unions are a manifestation of the principle of solidarity. To break them or render them impotent is to make an assault on the principle of solidarity. The campaigns promoting right-to-work laws tend to make an appeal to workers that promotes an exaggerated sense of autonomy. (“Keep your money—don’t give it to union bosses.”) This appeal fails to acknowledge that it is collective action that ensures safety in the work place, grievance procedures, living wages and so on. Where right-to-work laws have been adopted, worker injuries have increased as high as 52%. Globalization and changes in technology have obviously had a big impact on the American economy. How can the labor movement adjust to operating in a post-industrial society? The Labor Movement at its core is about workers, workers in every walk of life. While the focus of the workforce may shift, the point is people go to work every day. Some industries move overseas, like textiles. Some industries like hotels, restaurants, construction, and agriculture will never leave the country. The Labor Movement is adapting to the fluid situation of the work force. Many workers, for example, live in parts of the country where there is limited union density. The Labor Movement has begun to establish workers’ centers in these areas. Recently, for example, I visited a day laborer worker center in New Orleans. The day laborers are often treated as “independent contractors.” That is a specific category under labor law that does not provide much coverage for the plight of individual day laborers. And with that tag, the workers are barred from forming unions. Very often these workers are immigrants, as was the case in New Orleans. But gathered together on Wednesday nights this collective gathering of day laborers finds a voice and a community of solidarity. This is also a face of today’s labor movement. Domestic workers, taxi drivers, and others also find themselves in such circumstances. The fact is, under labor law, they have no bargaining rights, but working together in solidarity and with already established organized labor unions, they find power. And a voice. In addition, while there are new kinds of work in the tech industries, especially IT, some of the most over-worked and unprotected workers are in these very sectors. Another aspect of this question is the globalization of the economy. Global corporations have strategic plans to expand. If they are a bad employer in this country, odds are they will be bad or worse in another country. The labor Movement, through international collaboration and on site action, tries to ensure that companies do not get to export or import their bad practices. Unions have a responsibility to protect their workers’ interests, but what responsibilities do they have to the common good? Unions make jobs more secure, insist on living wages, provide health and welfare, and education and citizenship programs for their members. There is a short video produced by UNITE HERE Local 1 in Chicago that illustrates this well. The video was created as a part of a campaign of food service workers at the airport. It shows one Chicago neighborhood and shows the impact when there are 100 good union jobs held by residents of the neighborhood. It then shows the impact with 200 good union jobs. What you begin to see is the stabilization of neighborhoods, stronger schools, more responsive elected leadership, well maintained homes, and more. This is a primary way unions contribute to the common good. Citizenship and voter education programs are another important way to promote the common good. The goal is that union members and other community members become active participants in the democracy. Unions also offer major support to community organizations, churches, charities, and organizations that serve the poor and vulnerable, among others. Unions provide job training, safety training. And along those lines work to make sure all work sites are safe. Unions also are one of the few agencies left to hold the government and the business community to account when some companies skirt the law or “game the system.” This is especially noticeable when immigrant workers, who are vulnerable, are made the victims of unscrupulous practices. Overall, what steps should we take to reverse the growing inequality in our society? I believe Pope Francis has said it best when he demands that the poor, the vulnerable, the worker are a key part of the equation when economic decisions are being made. Profit cannot be the only motive for economic decisions. What we seem to have today is an “economy of exclusion,” as the Pope says. We speak of inequality. We will probably always have that in a capitalist economy. Capitalism is probably the only economic system that can lift mass populations out of poverty. That said, something has gone wrong. For many decades, for example, in the US, companies shared their profits not only with stockholders and top executives, but also with workers. Unions were a strong part of that kind of economy. For the past 15-20 years we have watched top executive salaries become obscene, as worker wages stagnated. It’s like somebody’s got their thumb on the scale. There was a time when unions would have been the watchdog on that greedy thumb. But in the past 15-20 years union density has dropped, and we have seen the rise of a multi-billion dollar union-busting industry to make sure that density falls even more. To make our economy more participatory and to reverse this race toward oligarchy, we would do well to support workers and their unions. We would do well to challenge the dominant libertarian anti-government mentality we see so much today. We would do well to stop the efforts to cut worker legal protections. We would do well to undo these so-called “right-to-work” laws. They are only a way toward a right to work for less. We would do well to challenge groups like the American Legislative Exchange Council. They and others are the ones who come up with these anti-worker, anti-democracy, anti-voter, anti-immigrant schemes across the country.